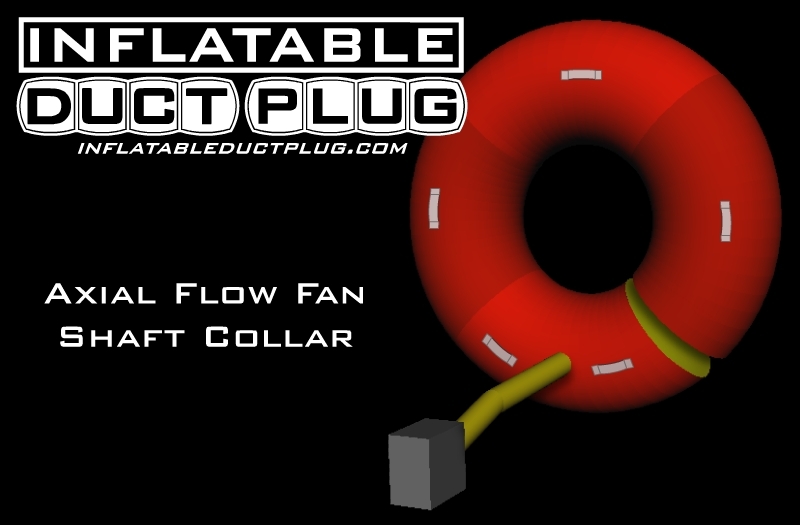 Split collar inflatable plugs can be installed on and around Axial Flow Fans parts when they are powered off and being maintained. These systems are designed to run at 100% and do often not provide a means of stopping backflow when part of the assembly goes down. The split collar design allows the balloon to wrap around the fan discharge and then be laced together where the donut is split, making a complete seal without having to remove parts of the fan unit. These also offer the benefit of noise reduction by cutting down ambient sound waves and echos. Making for a more tolerable enviroment to work in when performing tasks in proximity to running equipment. 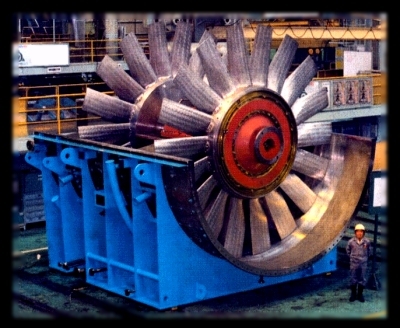 The size of axial fans varies greatly depending upon the application and install location. Our inflatables can be designed to fit any size duct work for this purpose. Inside and outside diameters are calculated to ensure a snug fit. In very large applications, the balloon may even be segmented into several sections, allowing each portion to block a certain percentage of the 360 degree opening.